Plastic Spot Prawn Shrimp Traps | Ocean Traps International, LLC. Plastic Spot Prawn Shrimp Traps are affordable, practical and profitable. They are made from strong polyethylene plastic to resist marine growth and stand up to the toughest working environment. Traps are designed to nest inside each other to maximize storage space and to increase the amount of traps stowed on deck..
Traps come complete with two convenient snap-in bait containers, slide-in hinge pins and durable locking clips to allow fast and easy assembly..
Traps have two tunnel entrances opposite each other which can be modified to the desired openings. 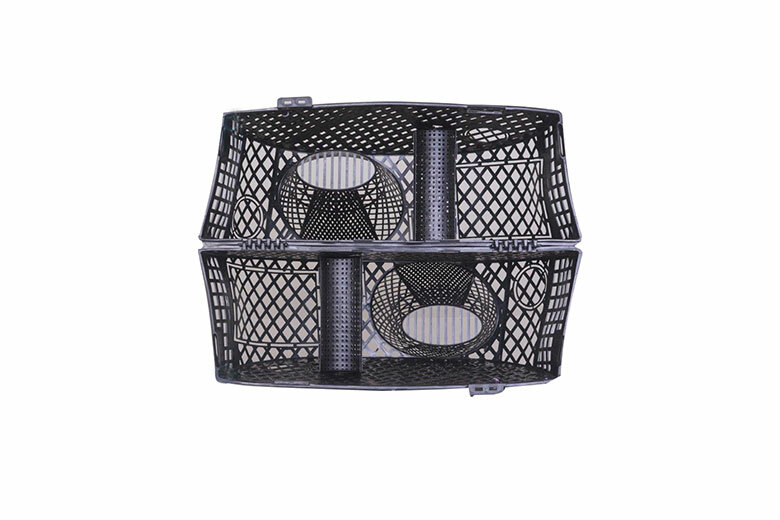 This allows for complete customization of each trap to ensure the desired catch.. Mesh openings have been sized to meet general standards. Our Design allows for the addition of sufficient weight to enable the trap to sink and remain motionless while trapping. 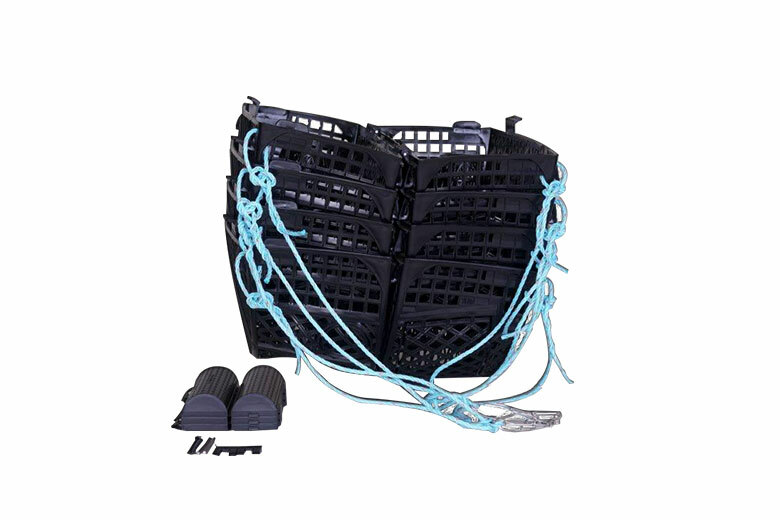 Ocean Traps International, LLC traps are affordable, practical and profitable. They are made from strong polyethylene plastic to resist marine growth and stand up to the toughest working environment.